Steven (Chicagoland, United States) on 28 March 2014 in Plant & Nature and Portfolio. The Bird of Paradise flower spotted on the grounds of the Hotel del Coronado on Coronado Island. The color is so natural just like the fresh one, Well done. There is always a splendid unreality about these . . you present it well here. Yes, I know this gorgeous flower. Your shot is stunning in its colour and clarity! The tone and light in this is beautiful. 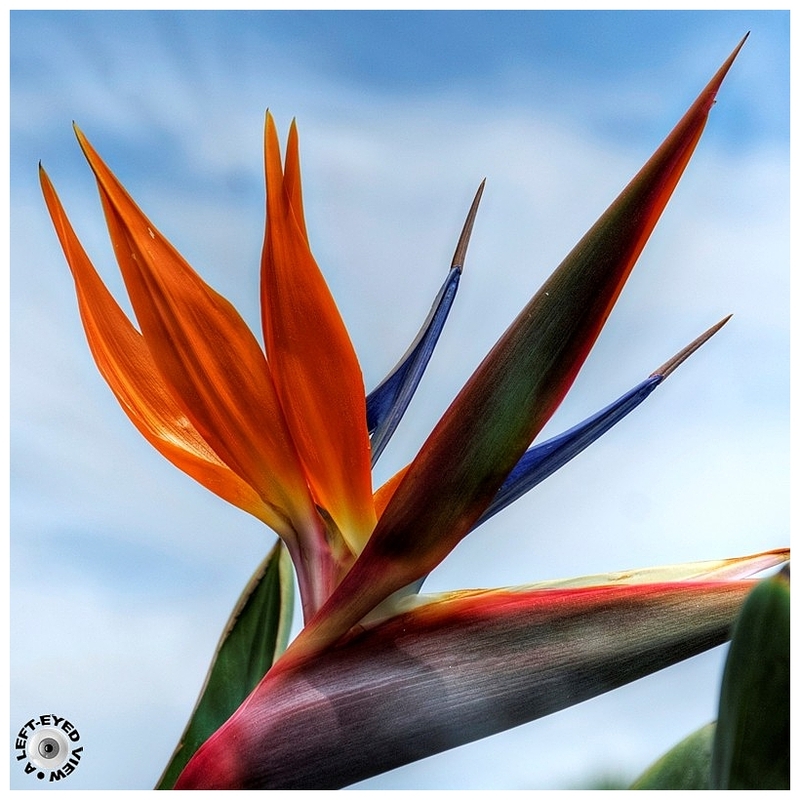 A gorgeous shot of this bird of paradise. Excellent work. Stunning Bird of Paradise! The point of view, light and color are amazing! Wonderful flower, amazing shape, a great compo Steven, ans thanks for your sweet words. such beautiful frame, details, colors, lighting & title! One of the things I remember most about a trip to San Diego is how beautiful these blooms were. Great shot. Absolutely beautiful! The colors are just gorgeous. One of my favorite flowers! Beautiful frame. This is just fabulous Steven! 5*s! A wonderful image of this fine specimen. This flower lives up to her name, she is absolutely spectacular ... A beautiful image and excellent POV !!! Great shot against a beautiful sky. I like the way you framed the petals reaching for the top corners. It might have been even nicer if you had pushed aside that leaf in the lower right corner. That is a gorgeous plant. Je suis fan de ces fleurs ,elles portent bien son nom . Wow brilliant shot, looks like a painting!! Gorgeous ... beautiful vivid colors! A gorgeous shot of this bird of paradise!!! Excellent! Splendid composition! Nice tones and colors!